We are known as a company that brings a comprehensive basket of quality products right to the “door-step” of the customer. Our own fleet of temperature controlled vehicles delivers countrywide on a weekly basis, travelling on both tarred as well as gravel roads. We distribute food and beverages all over Namibia from a corner shop to a hypermarket and from a small cafeteria to 5 star hotel even in the remotes areas of Namibia. Our 4 500m2 warehouse in Windhoek, which operates 7:00 to 19:00 ensures sufficient stock holding at optimal temperatures, and ensures satisfactory delivery times. Our warehouse consists of dry storage area, temperature monitored refrigerated and freezer storage areas. 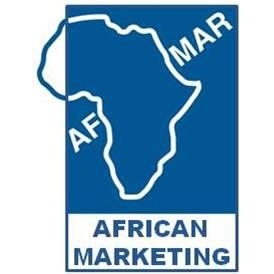 African Marketing sales representatives call on all customers according to pre-defined call cycles throughout Namibia, whilst customer liaisons communicate with clients regarding inventory and order queries. The order-capturing department is available telephonically from 7:00 until 17:00 hours or reachable by e-mail and fax. We always strive to excellent customer service and our basket is constantly adapted according to customer demand. Click here to get to know our team!